Florida Atlantic University's Christine E. Lynn College of Nursing has received a $2.8 million grant from the Health Resources & Services Administration (HRSA) for a four-year project titled, "Caring-based Academic Partnerships in Excellence (CAPE) RNs in Primary Care," to recruit and prepare nursing students and registered nurses (RNs) to practice the full scope of their license in community-based primary care teams. This latest HRSA grant is the third awarded to FAU's College of Nursing over three consecutive years and totaling $6.4 million. FAU has partnered with the West Palm Beach Veteran Affairs Medical Center and their interprofessional health care teams who provide services in 26 primary care clinics; Community Health of South Florida, Inc. in Miami; Holy Cross Hospital in Fort Lauderdale; Caridad Center in Boynton Beach; and FAU's Community Health Center in West Palm Beach. 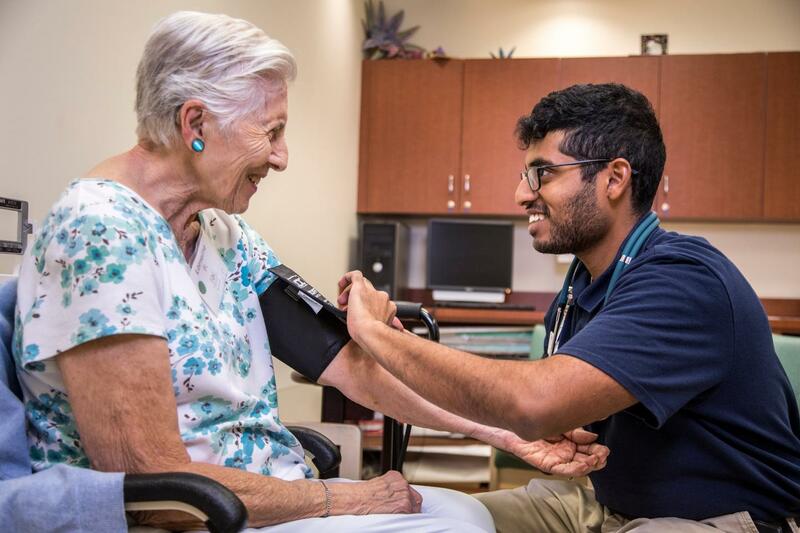 FAU's College of Nursing is working in concert with these partners to increase access to care while emphasizing prevention and control of chronic diseases in non-institutional settings. "The overarching goal of our project is to create healthier communities in rural and underserved populations," said Karethy A. Edwards, Dr.PH, ARNP, project director, associate dean of academic programs and a professor in FAU's College of Nursing. "With this latest grant from HRSA, we will educate and provide clinical training to establish a primary care workforce of students with a bachelor of science in nursing degree who are practice ready and willing to serve our veterans and patients in rural and underserved communities." In addition, Florida's population has increased 196 percent from 1970 to 2010, including its aging population of approximately 3.3 million Medicare recipients seeking primary care and behavioral/mental health services. Florida's population is increasingly diverse with Hispanics representing 23 percent of the state's population and Blacks representing 16 percent – proportions that are above the national average. Minority populations also experience higher rates of illness and death from health conditions such as heart disease, stroke, specific cancers, diabetes, HIV/AIDS, mental health, asthma, hepatitis B, and obesity. These diverse patient populations present unique challenges in Florida. "This grant awarded to Dr. Edwards and her entire team, Drs. Charlotte Barry, Lynne Dunphy, Dawn Hawthorne and Beth King, will position the Christine E. Lynn College of Nursing as a leader in the national initiative to enhance the role of registered nurses in primary care and promote health equity in this region," said Marlaine Smith, Ph.D., dean of FAU's College of Nursing. "We are proud to join forces with our outstanding project partners to help fill the gap in the delivery of primary cares services, especially for our veterans and vulnerable populations." Working together with its community-based partners who share a mission of delivering high quality and accessible primary care services, this innovative educational program will support a cadre of diverse primary care oriented BSN students; will facilitate the development of RN preceptor's knowledge, skills, and experiences to practice at the full scope of their license; will co-create and implement evidence-based, relevant learning experiences; and will build a value-added model and team to develop and implement strategies to connect program graduates with primary care employment opportunities that serve veterans and rural and underserved populations. FAU's College of Nursing is internationally known for its commitment to nursing as a discipline focused on nurturing the wholeness of persons and the environment through Caring. The College advances Caring knowledge through education, practice, research and scholarship to transform care locally, nationally and globally. Currently, the College of Nursing offers bachelor's, master's, DNP and Ph.D. degree programs with approximately 1,600 nursing students enrolled in its programs. For more information, visit http://www.nursing.fau.edu.